Deb Meredith will be speaking at the Sheepshead Bay branch of the Brooklyn Library Wednesday, May 27 at 2 PM. And she’ll be at the Mystery Writers of America Booth at BookExpo of America on Saturday, May 30. Deb Kristina will have a guest post go “live” tomorrow at A Book Blogger’s Diary, here, in conjunction with a contest to win a signed copy! Also, historical romance author Sherry Thomas continues her contest for a signed copy of Liars, here. Deb Eve will be interviewed by Frankie Boyer on the nationally syndicated Lifestyle Show on Tuesday, May 26 from 12:40 to 1:00 PM. She’ll also be appearing on GCTV (for all you folks in Greenfield) on Thursday, May 28 from 10-11:30 AM and will give a talk and book signing that evening at the Tilton Library in South Deerfield at 6:30 PM. Debs past and present have donated items to the Brenda Novak online auction to benefit diabetes research. It’s just like eBay, but for charity! Hundreds of items of interest to readers, writers and anyone else will be available for bidding the entire month of May. The auction includes a signed advance copy of REAL LIFE & LIARS from Deb Kristina, from Graduate Deb Jenny Gardiner a signed copy of SLEEPING WITH WARD CLEAVER plus a critique of a partial by Jenny, plus two signed copies of DRIVING SIDEWAYS by Graduate Deb Jess Riley. Founder Deb Mia King is giving away a signed copy of her galley/ARC for Table Manners along with a signed remainder copy of Good Things. Visit her blog at http://www.miaking.com/?page_id=1330 for details. While you’re there you can also enter the Great Hawaii Book Escape, a giveaway full of books and amazing gifts from Hawaii, hosted by Mia, Jane Porter, Carol Snow and Jill Marie Landis. Contest ends May 30. 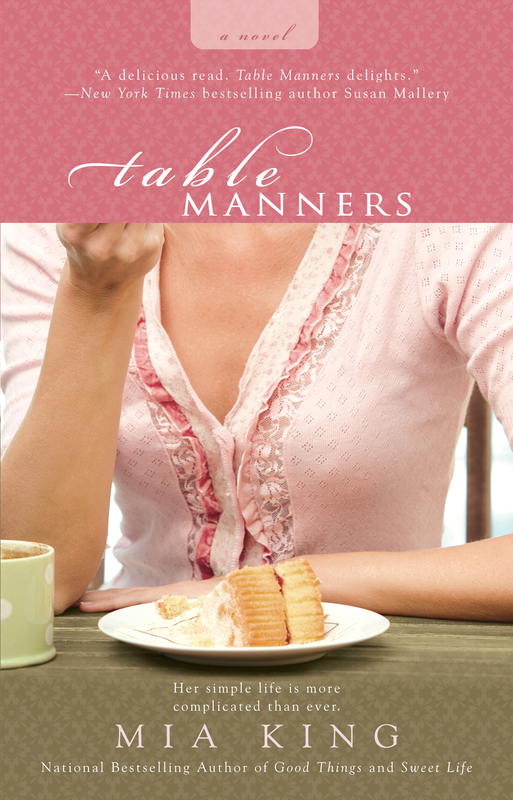 Table Manners will be published by Berkley Books on August 4, 2009.